Welcome to Turkey ! Today is your arrival day. Airport transfers are available from Ataturk International Airport during the hours of 8:00am til 11:00pm. Transfer to your hotel. Overnight in Istanbul. 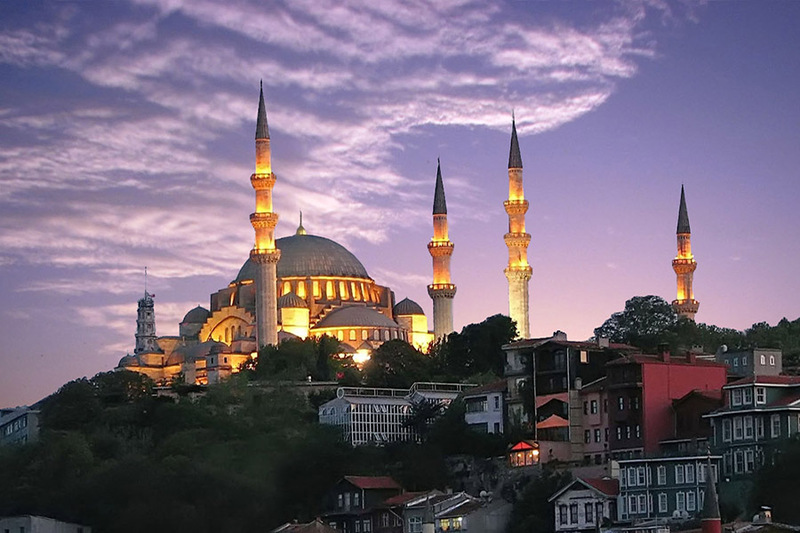 We depart from the hotel at 08:30am for the Istanbul city tour. “ Topkapi Palace ” The great palace of the Ottoman sultans from the 15th to the 19th centuries. The palace houses an exquisite collection of crystal, silver, and Chinese porcelain. Robes worn by the sultans and their families, the famous jewels of the Imperial Treasury, miniatures, and the Holy Mantle; enshrining relics of the Prophet Mohammed. 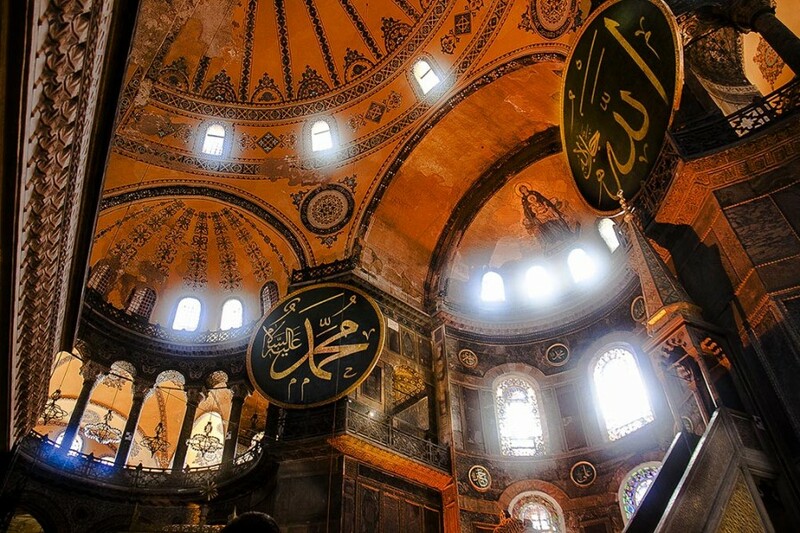 Next on the list is the “ SULTANAHMET IMPERIAL MOSQUE” Across from St. Sophia built in the 16th century by the architect Mehmet, is known as the “BLUE MOSQUE” because of its magnificent interior decoration of blue Iznik tiles. Outside the Blue Mosque we find the “ HIPPODROME”. The Ancient Hippodrome was the scene of chariot races and entertainment. The Hippodrome comprises of three monuments; the Obelisk of Theodosius, the bronze Serpentine Column and the Column of Constantine. After breakfast we depart for *!Hattusa! *, which was the capital of Hitites. Hititians where Indo-German semi European people, they arrived via the Black Sea to north Anatolia at the beginning of 18 th century BC. They used horse carts as their war vehicles, which they used during their attack of Ramses the 2nd and they had a big war with the Egyptians and they then made a peace treaty where they wrote on the clay and had 2 women sign it. That was the first peace treaty where woman ever participated. Visiting Yazilikaya which is the ruin of an open air temple of the Hitites where there are rock carvings of the Hitites god and Goddes. We then go to Hattusas, big temple and the city ruins including gates of lion and king. Visiting the summer palace of Hitites and driving to Alacahoyuk that was first capital of Hitites and Hatti civilisation. 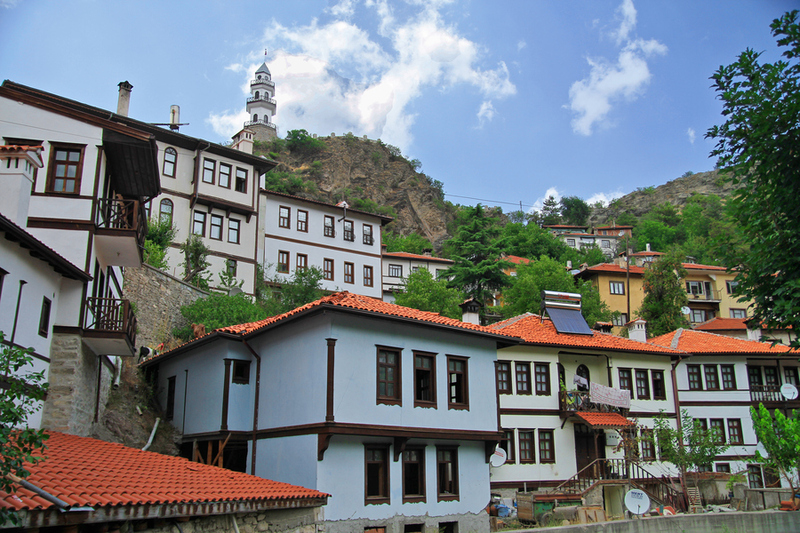 After lunch we drive to Amsaya for our Amasya Tour. 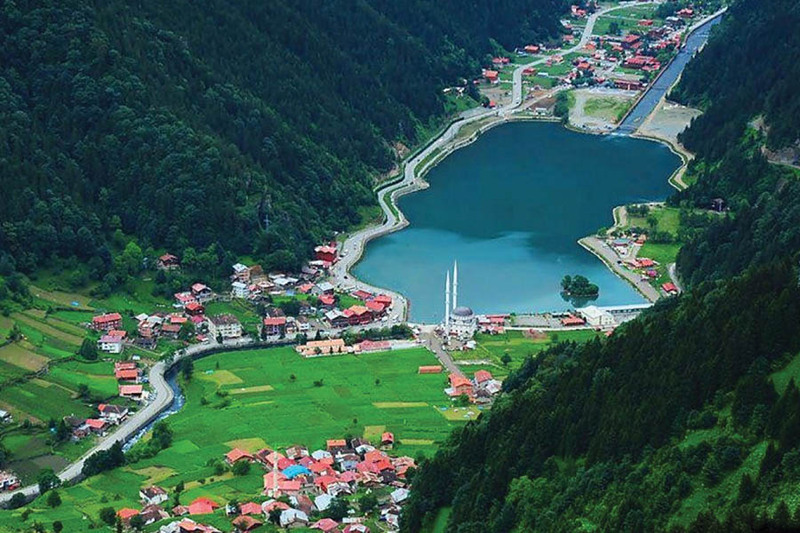 Amasya is one of the provinces which is distinct both with its natural setup and historical values it holds. It was the homeland of the famous geographer Strabo. 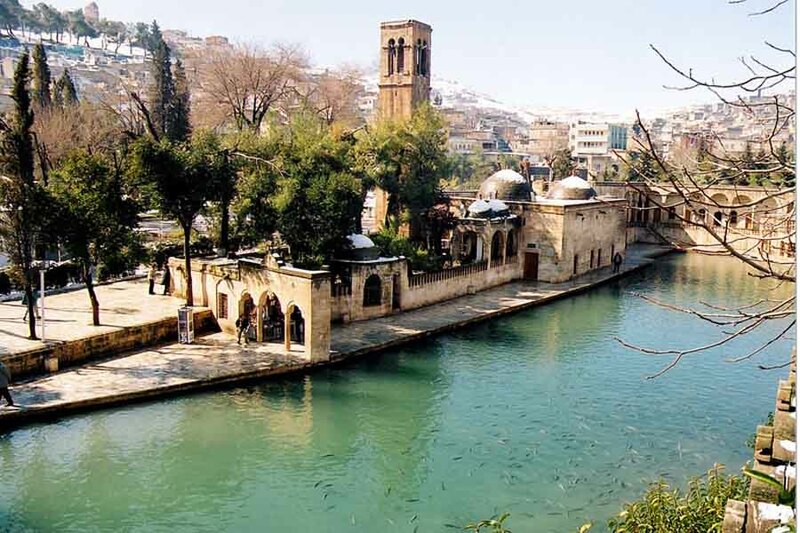 Located in a narrow cleft of the Yesilirmak (Iris) river, it has a history of 3000 years during which many civilizations left priceless remains of their times. The ruins of the citadel on the rock face of the cleft shelters 2000 year old water-channels, 1000 year old bridges, an ancient mental hospital, an Ottoman Palace and a secret underground passageway. Overnight in Amasya. After breakfast at 09:00am departure forTrabzon . 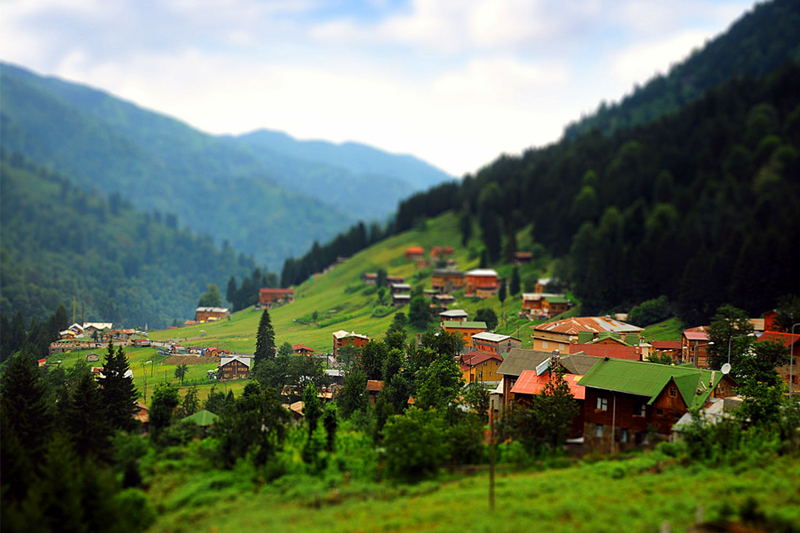 When the Roman Empire was divided into two at the end of the 4th century, Trabzon remained under the sovereignty of the Eastern Roman Empire which later on was called as Byzantine Empire. When relations and wars between the Byzantines and the Arabs started, the Arabs called the people under the Roman Sovereignty as Rum, and the areas under the Roman sovereignty as Diyar-i Rum or Memleket-ul Rum (land of Rums). 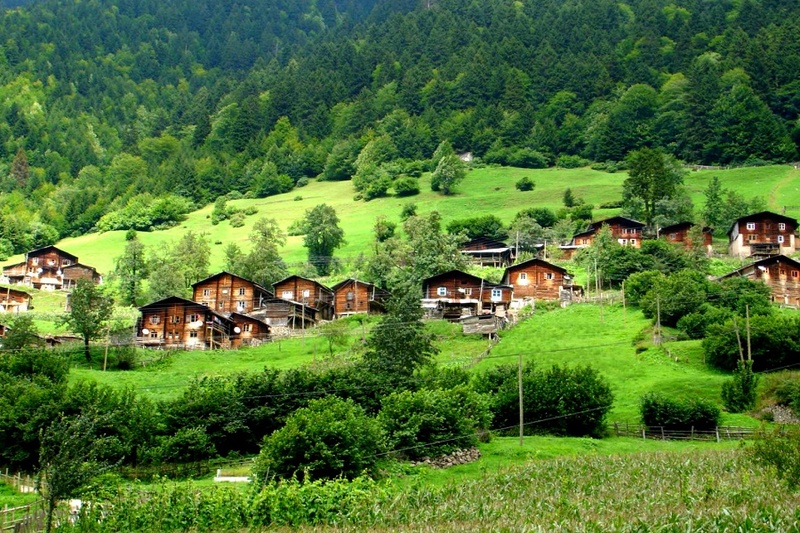 Overnight in Trabzon. 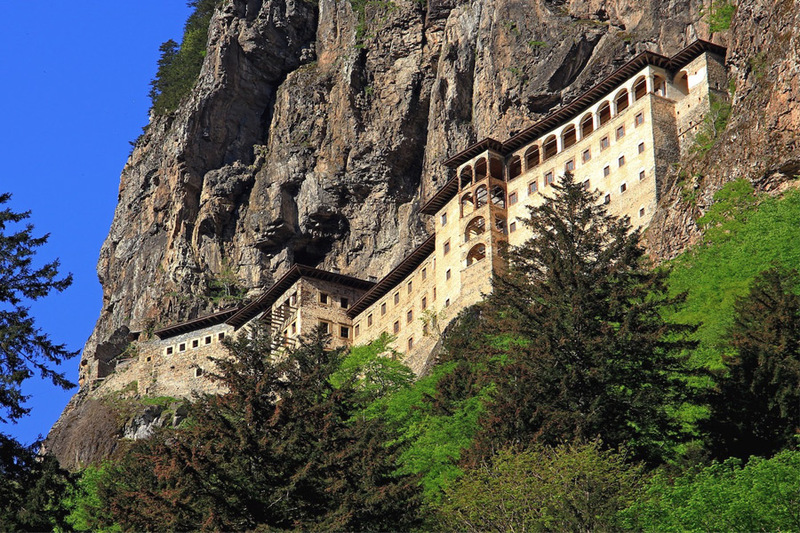 Depart forSumela Monastery, visit the 4th century Sumela Monastery which clings to a sheer cliff face in a deep forest, relax beside a fast flowing stream at Altindere Valley National Park, lunch, traveling along the Silk Road through the Zigana Mountains (Pontic Alps) will take us to Karaca Cave , considered to be the most beautiful in Turkey for its colors and formations. Drive to Erzurum via Bayburt. Overnight in Erzurum. 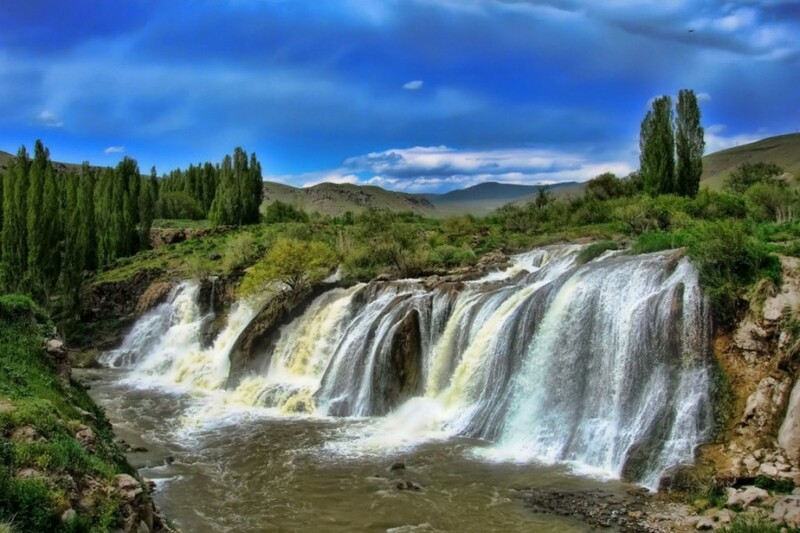 This morning we will drive for 3 1/2 hours along the “Silk Road” to Dogubeyazit. At the Iranian border we will see a site known as the Crater Hole. This is a beautiful, yet rugged area. 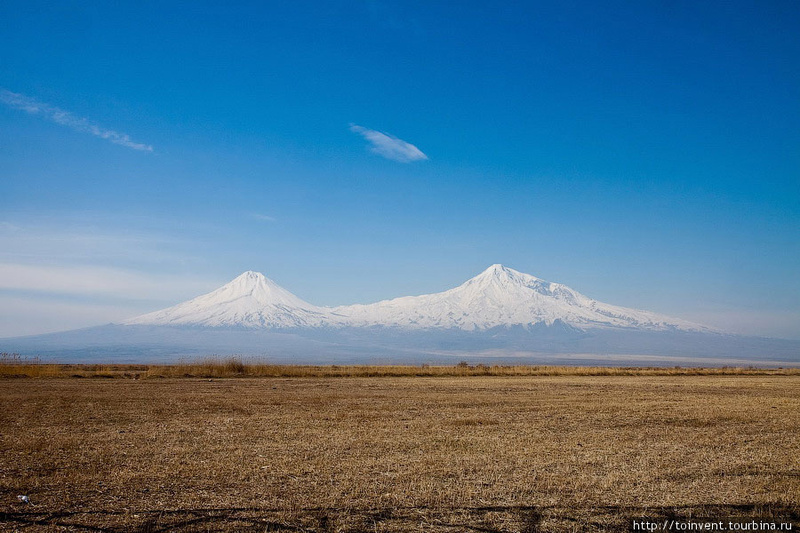 We will have the opportunity to see Mount Ararat from all sides. 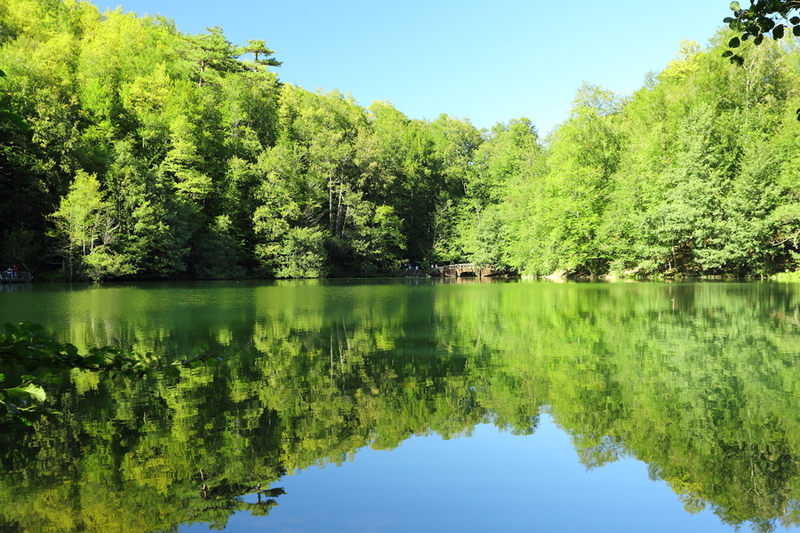 It is believed by some to be the resting-place of Noah’s Ark; but to date no one has found anything that has been verified as the Ark – yet the search is still on. In the afternoon we will stop and see the Ishak Pasa Palace. This complex is a combination of a mosque, a fortress, and a palace which originally had a room for every day of the year! Below you can also see the remains of Eski Bayazit, and Urartian City which flourished in 1000 BC. 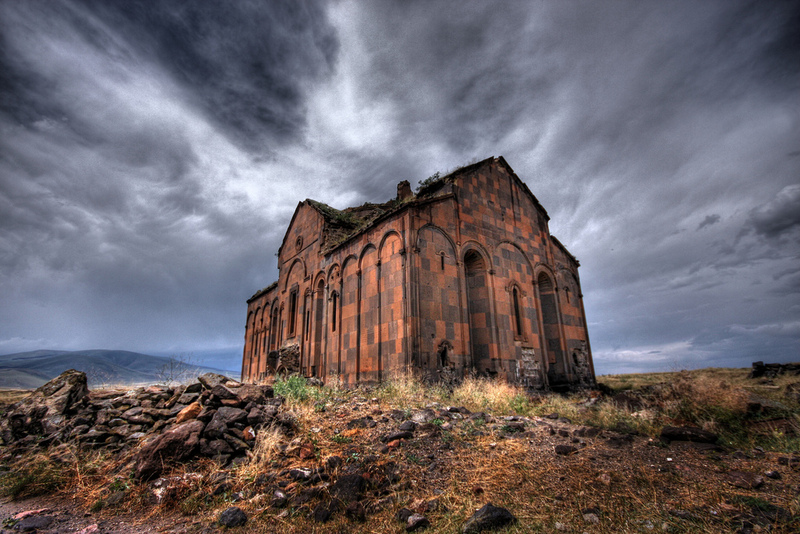 Overnight in Kars. Dogubeyazit. After visiting the Iranian border, we will depart for Van in the early morning, a drive of approximately three hours. This city has been established 13th century BC, when the Hurrites arrived. 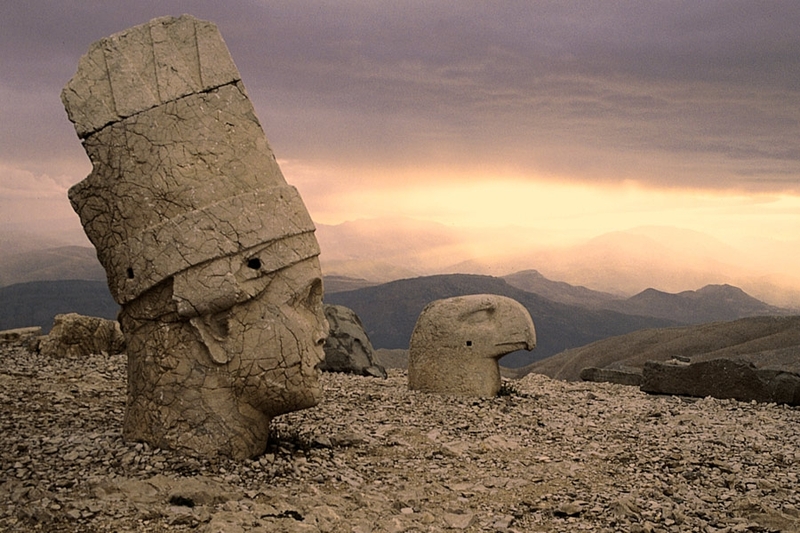 Then the Hittites, Urartians, Persian, Armenians, Macedonians, Romans and finally in 11th century the Turks came here. 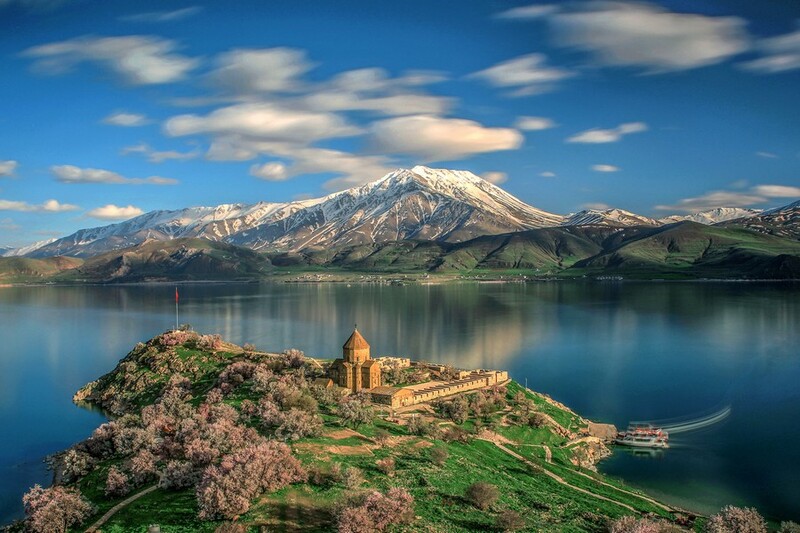 From here, we will visit the finest Armenian architectural wonder of the Church of the Holy Cross on Akdamar Island. 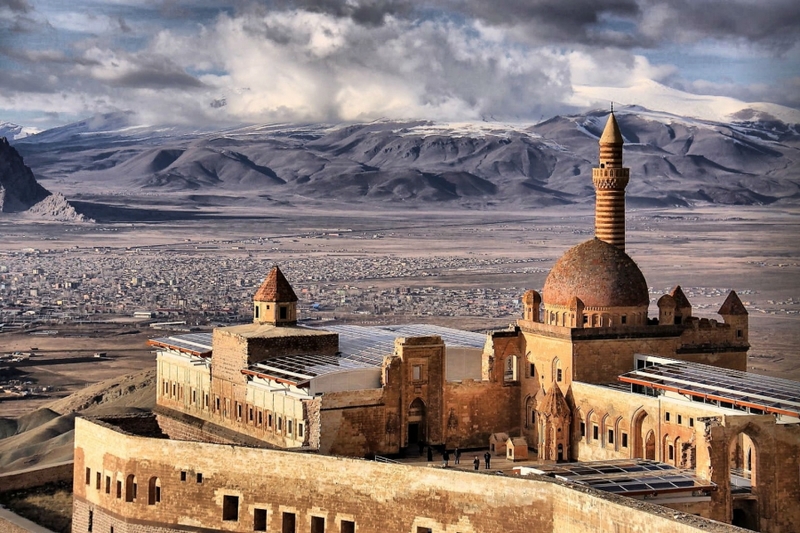 We’ll also visit the wonderful Kurdish castle of Hosap very close to the Iranian border as well as the Urartian citadel. Overnight in Van. After visiting the eerie 12th century Selcuk cemetery in Ahlat in the morning we will head to Bitlis for lunch and a good walk around, Batis otherwise known as Alexander’s town. Its a unique medieval town! Overnight in Diyarbakir. *!Mardin! * is very unique with lovely old-Arabic style houses. 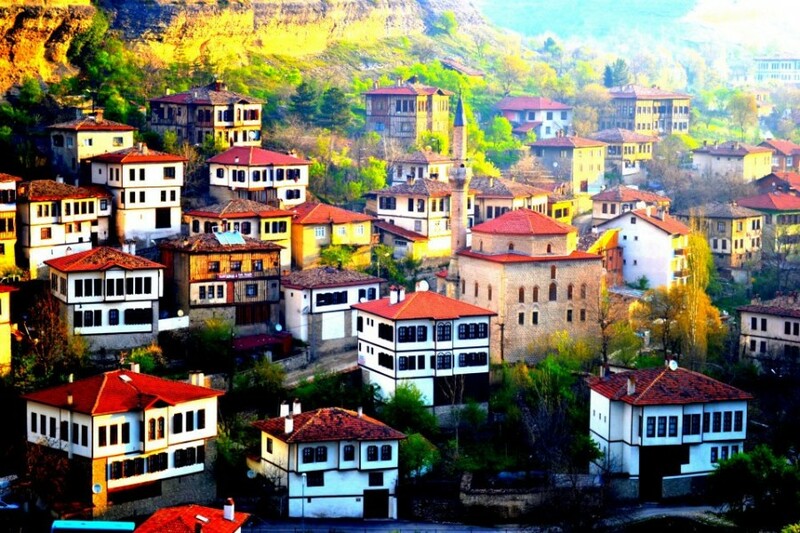 It is a city that played an important role in the early development of Christianity. We will take the time to visit, walk in its busy streets and bazaars, and admire the stonework all around the town. 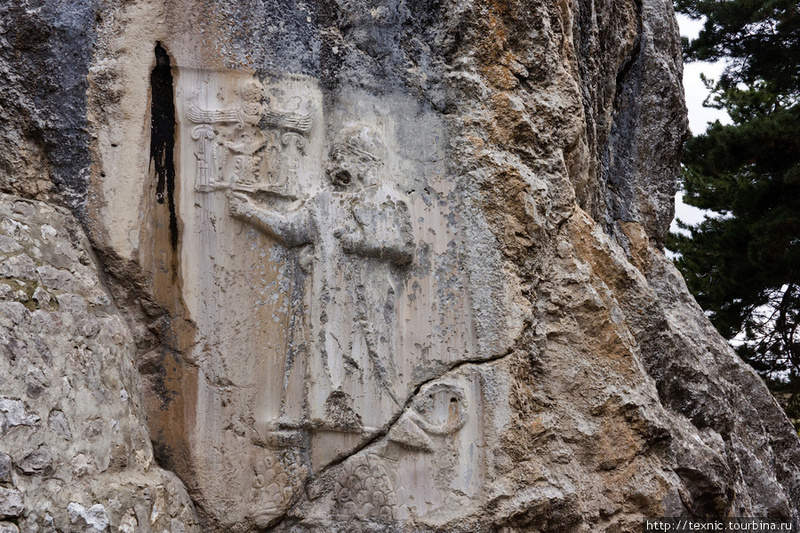 We will also visit the Monastery of Deyr-az-Zaferan just outside of town, founded in 762 A.D. It was the seat of the Syrian Orthodox Patriarch for almost 800 years. 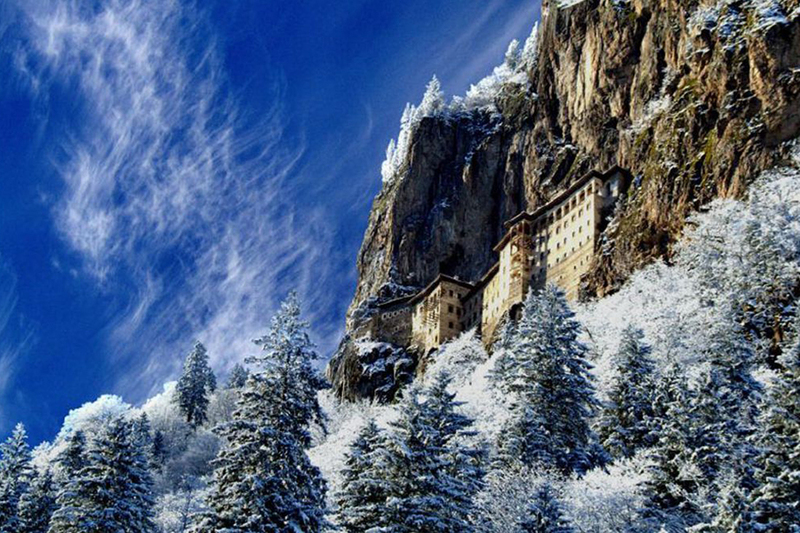 This monastery is built on top of a 4000-year-old temple used by sun worshippers. 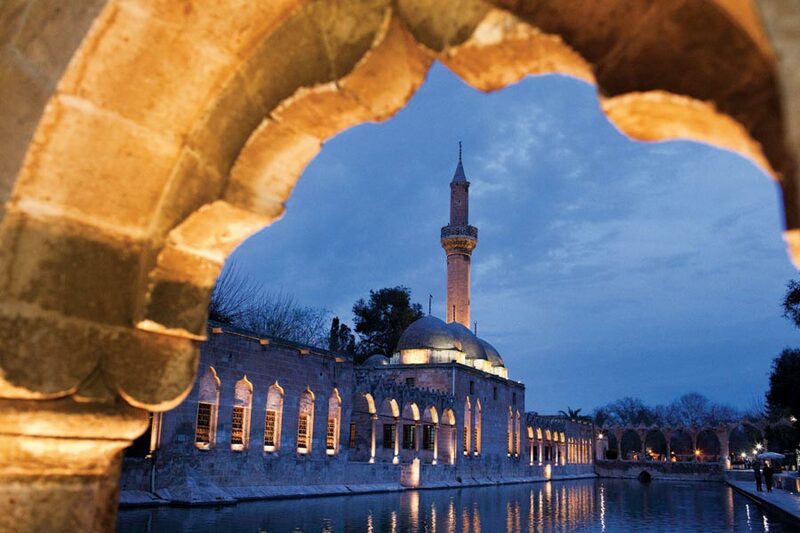 Overnight in Urfa. Drive to *!Gaziantep! * home to the famous Turkish dessert of Baklava. 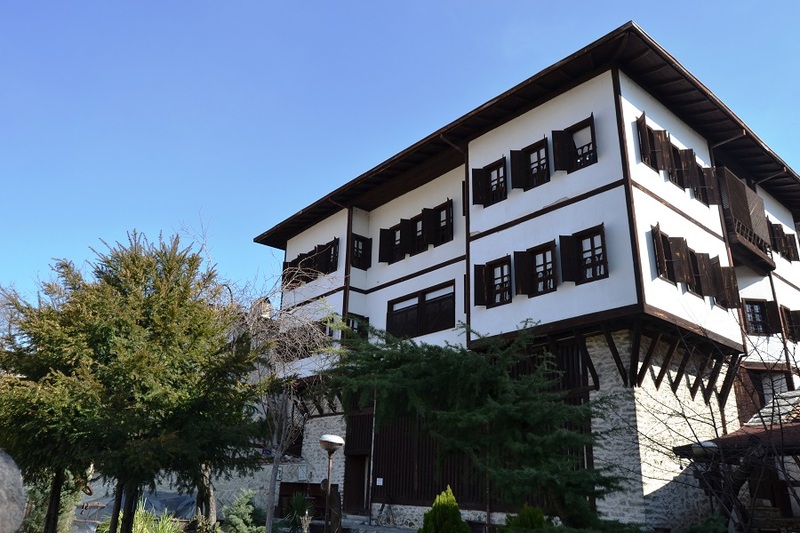 Visit the archaeological museum and explore the old city on foot. Overnight in Gaziantep. We depart for Adana in the morning and start our tour with the museum of Archiology the 16th Century Ulu Mosque and the 19th century Clock Tower then on to Tarsus going through Cleopatra Door and Yedi Uyurlar Cave. Overnight in *!Tarsus!*. 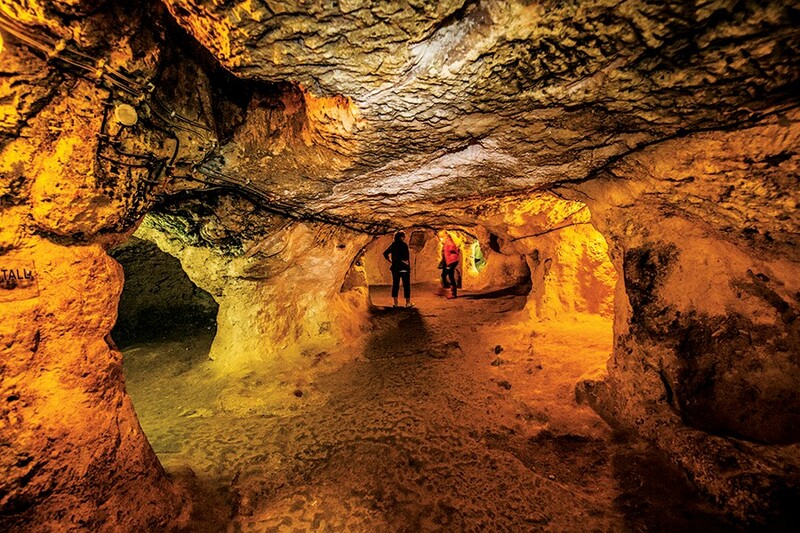 Goreme Valley, where we will examine the process of the rock formations of Cappadocia. Later we drive a bit further and visit the cave dwellings in conical rock formations around Uchisar . Tea and coffee break in a cave house before we go to Goreme Open Air Museum, where the best preserved frescoed rock cut churches and monasteries are located. After we have buffet lunch, we visit the Family Fairy Chimneys of Urgup. Wine taste in a local winery and visiting the wishing hill in Urgup. 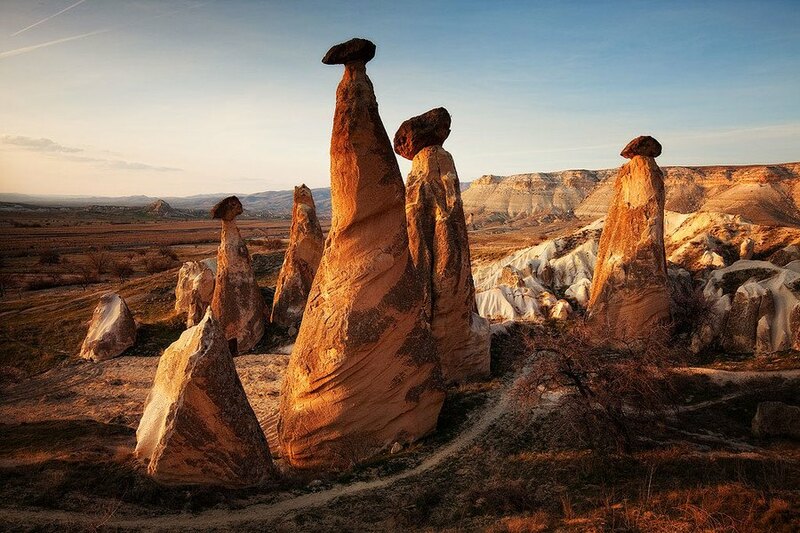 A short walk in Devrent Valley where the rock formations look like different figures. 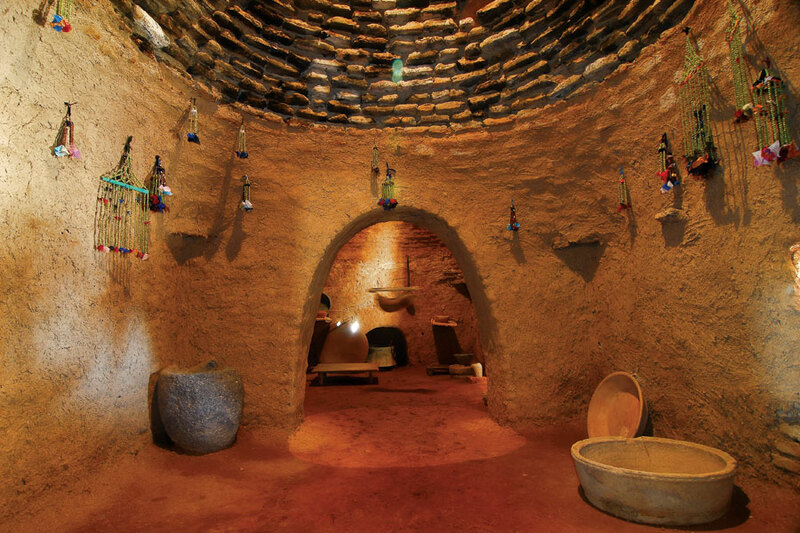 The Monk’s Valley will be our next stop where we see monk’s cells in multi-capped Fairy Chimneys. Avanos, the pottery town of Cappadocia is visited, and after a short walk in Rose Valley , will take you to a remote place for sunset. Overnight in Cappadocia. After we visit the biggest underground ccity of Cappadociaa, we will drive to the Pigeon valley to see pigeon houses, which were made to collect guano in. 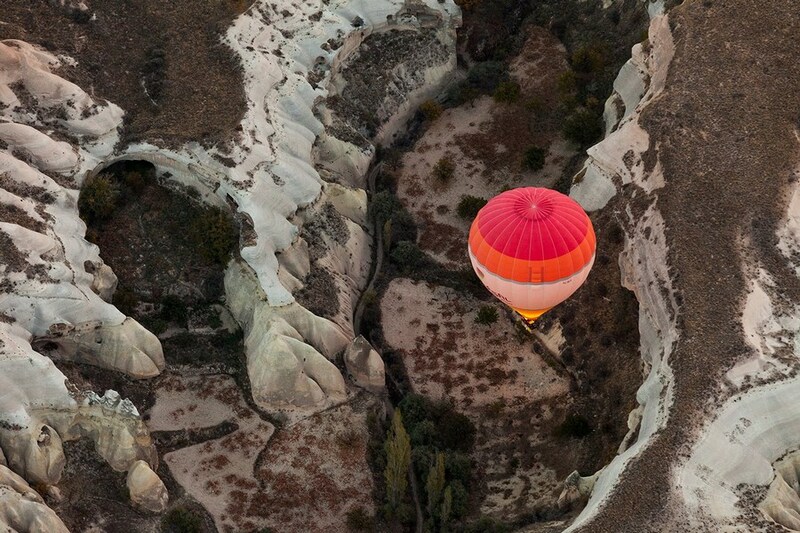 Overnight in Cappadocia. Today is along driving day but is broken up with a lunch break in Konya . 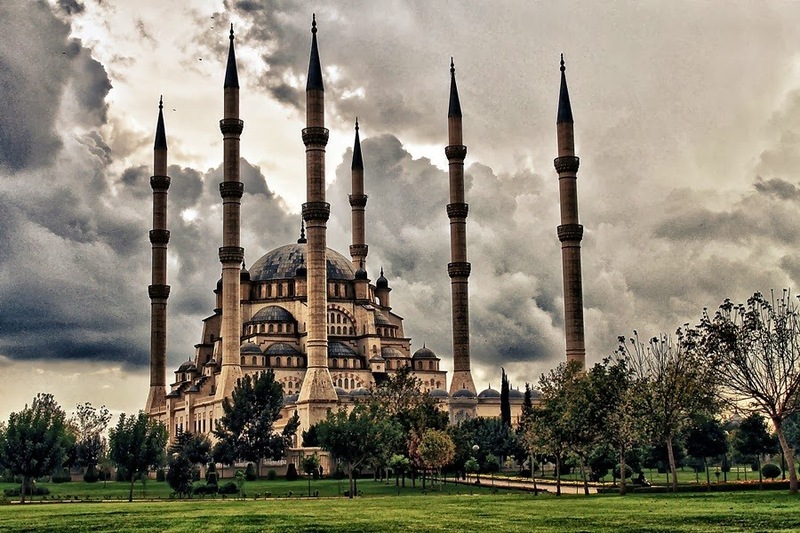 This morning we drive to Konya and see the imposing green-tiled Mausoleum of Mevlana, the mystic founder of the Islamic Sufi sect (Sufism is less an Islamic sect than a mystical way of approaching the Islamic faith. 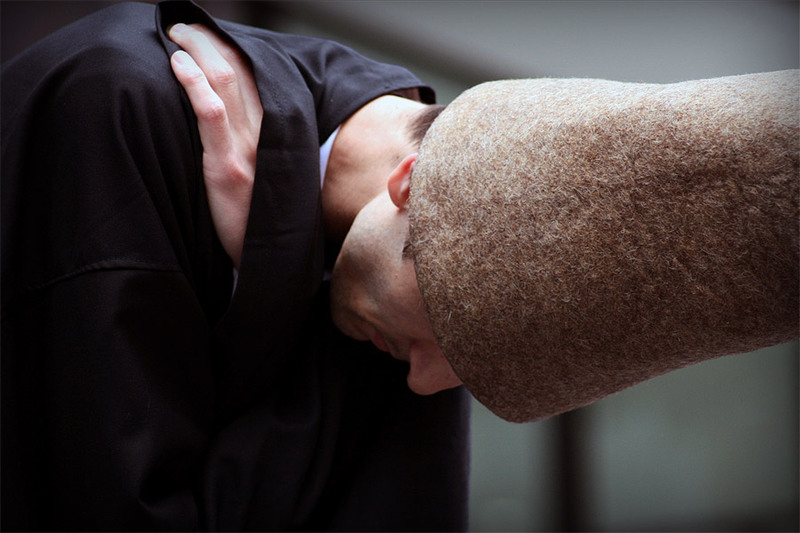 It has been defined as “mystical Islamic belief and practice in which Muslims seek to find the truth of divine love and knowledge through direct personal experience of God.” “ Whirling Dervishes”). After the Konya tour departure for Antalya. Check in to your hotel. The rest of the day is yours to discover Antalya. Overnight in Antalya. Perge : According to the geographer Strabon, Perge has been founded by Akhas who came down here after the Trojan wars. Perge was first mentioned in 334 BC when Alexander the Great passed through here. In the following years, Perge went under the control of Pergamon when the Kingdom of Pergamon became a part of the Roman city. Especially in the first and the second centuries BC, Perge became one of the richest towns in Pamphylia. 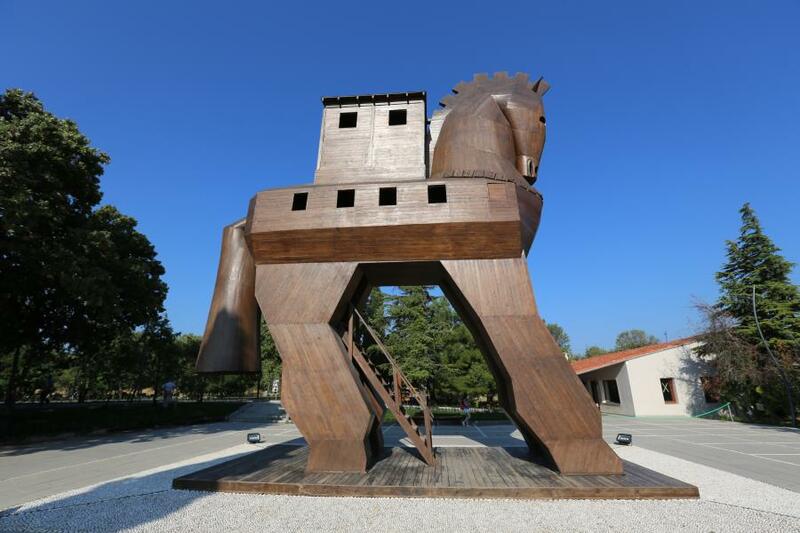 Therefore it is not a surprising that St. Paul started his campaign in Anatolia from Perge in 46 AD. The people of Perge loved and respected their Artemis to such an extent that Christianity had to wait for another 400 years to enter here. In the Byzantine period, Perge was the seat of the bishop. Even though Arabs raided Perge in the 7th century AD, when Seljuk Turks settled the area, records show the existence of an older race living here. After the tour, departure for Aspendos. Lunch break on the way. Aspendos: The eastern land of Antalya was called Pamphylia in ancient times. The Toros Daglari (Taurus Mountains) forms a beautiful back drop to the fertile coast, rich with fields of cotton and vegetables. Aspendos (Belkis) lies 47 km east of Antalya in the Pamphylian plain. In 486 BC, Greeks and Persians had a great battle here (Greeks won they didn’t stay for long). During the reign of he Roman emperor Marcus Aurelius (161-80 AD) Aspendos got its theatre, which is the best preserved of all. 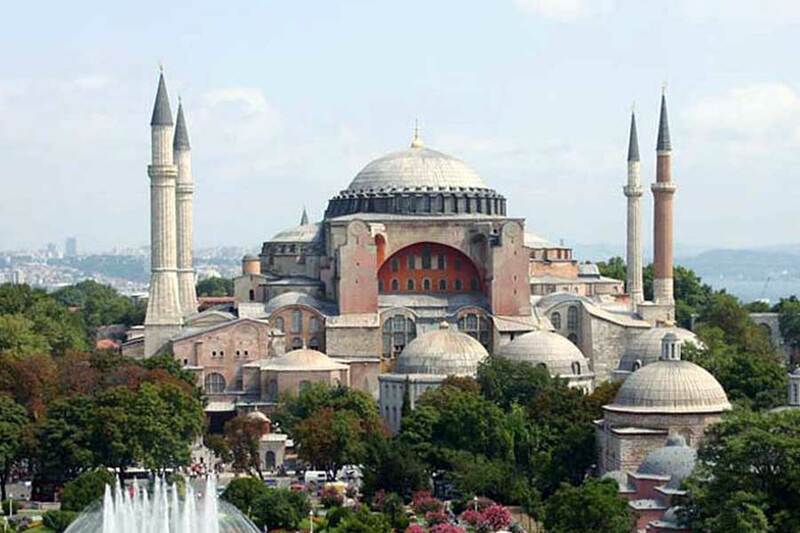 It was built by Romans and maintained by Byzantines and Seljuks. The ruins of the ancient city are extensive and include a stadium, an agora, and a basilica. After Aspendos return to hotel for dinner. Overnight in Antalya. After breakfast depart for Pamukkale . We shall visit the calcium terraces of Pamukkale (cotton castle) and the ruins of Hierapolis, walking around this natural phenomenon gives you the option of lying in the waters of the natural springs that flow down the calcium terraces. Overnight in Pamukkale. You don’t have to wake up early, enjoy the thermal poll in Hotel and sunshine and and explore the city, shop in the local markets. After lunch we depart for Kusadasi . You will be given your room key and the rest of the day is yours to enjoy party and explore Kusadasi. Overnight in Kusadasi. At 08:30am we depart for Ephesus (20 minutes drive) – once the commercial centre of the ancient world – is a highlight of any visit to Turkey. The city, whose wealth and patronage supported its splendid architectural program, was dedicated to the goddess Artemis. Her enormous temple, once considered one of the seven wonders of the Ancient World and rebuilt several times, dates in its latest form from the third century B.C. 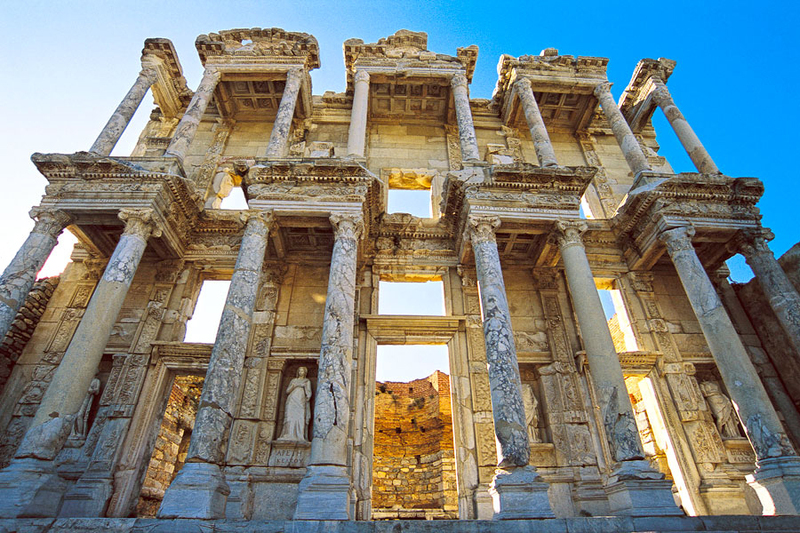 The tour of the ruins also includes a theatre, gymnasium, agora and baths, as well as the Library of Celsus. 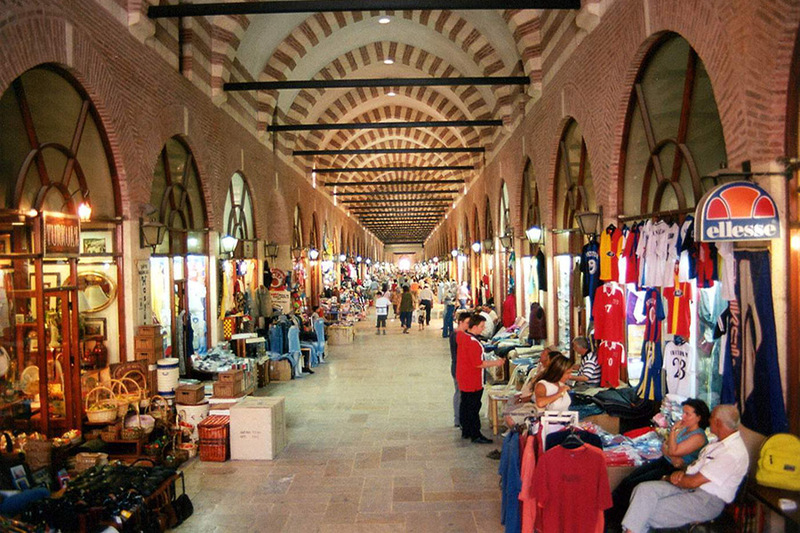 After lunch, we will make a shopping tour in which you will become aware of the ancient arts of Turkey like leather manufacturing and jewellery. Enabling you to enjoy the shopping experience whilst gaining the knowledge of the ancient craftsmen. Overnight in Kusadasi. Today we drive to Pergamum (45 minutes drive) – see Asklepion, Zeus’s alter, the Red Bassilcia etc. Bergama is the site of the Hellenistic – and later Roman city of Pergamon, ruled for several centuries by a powerful local dynasty. Its foremost attraction is the Kizil Avlu or “Red Basilica”, a huge edifice on the river not far from the acropolis, originally built as a temple to the Egyptian god Osiris and converted to a basilica by the early Christians, when it was one of the Seven Churches of Asia Minor addressed by St John in the book of Revelation – though sadly it’s now a crumbling ruin with a mosque in one of its towers. After Pergamon we continue towards the our hotel in Canakkale. Overnight in Canakkale. Today your tour is over. Please make your own arrangements for departure remembering that your hotel will need you to check out before midday. We hope you had a memorable tour and we look forward to seeing you in the future on another one of our tours.